Truffles are expensive, exclusive, elusive and delicious — and the French LOVE them for these reasons. Going to a truffle market is not only an interesting glimpse into french culture, it also gives you the chance to buy truffles straight from the forest and take them home to cook up a gourmet meal in your holiday apartment or villa. It will bring everyone into the kitchen the moment you start slicing it, releasing its wonderful pungent odour. You don’t need to be intimidated at the idea of cooking this delicacy – try a truffle omelette, mix slices through a fettucine dish, or simply eat raw, sliced thinly on buttered bread. 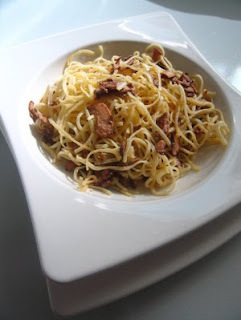 Having a kitchen to come home to while on holidays is a fantastic way to travel. You really get into the culture so much more thoroughly if you take advantage of the local produce and recipes during your holiday. Richerenches is the largest truffle market in the country. Most of the truffle selling doesn’t go on in the main street, however – you will need to explore the streets of the town a little to stumble upon the major selling areas. 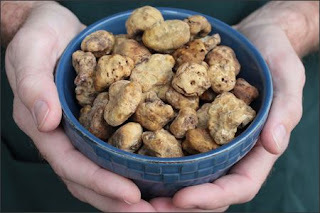 There is something a little covert about truffles which the french delight in – it is a cash-only trade, and while it is not illegal, there can be an air of the illicit in these exchanges. 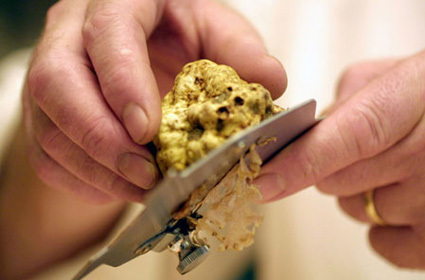 Known as the ‘diamond of the kitchen’, truffles are very expensive and considered a luxury item. They have a strong, pungent flavour and are usually used sparingly, in paper-thin slices. 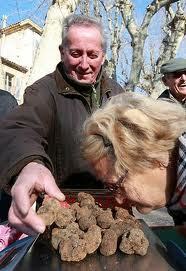 Older French books often use great quantities of truffles in recipes, as harvests were much larger in the past. In the 19th century, an annual harvest averaged at around 1000 tonnes, while today’s production is around 40 tonnes. This is due to climate change and many truffle oaks being destroyed during the World Wars. Their rarity has lead to high prices, with this fungus now fetching a price of around 800 euros per kilo. 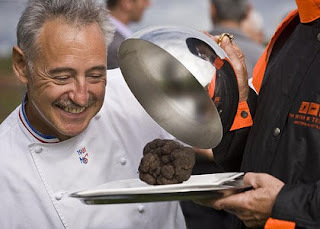 Growing truffles is a huge investment of time. In the wild, it takes an Oak tree 40 years to get to the point where it has the potential to grow truffles. However, with special techniques, it is now possible these days to manipulate young oak trees into truffle-maturity in only 10 years. The cultivation of this fungus is so precarious, however, that a slightly dry winter can wreak havoc on a crop. Few farmers are willing to put all their energy into truffle farming alone – it’s too risky. If you’re not game to try cooking them yourself, truffles can be found on the menus of high class restaurants. One such restaurant is the ‘Mas de Saint Antoine’, which is located in Grasse. This restaurant not only uses truffles in its dishes, but also hosts an annual truffle market of its own. 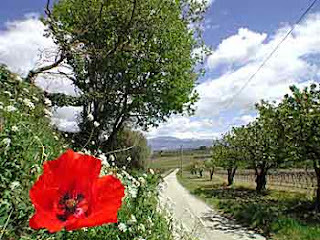 We’re huge fans of a great little town called Carpentras – it is quite close to all the major Truffle markets so it is perfect as a home-base for truffle hunting excursions! 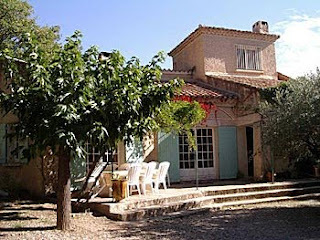 We can recommend a beautiful villa called VU003a Parc de la Masque. This spacious villa is set within 3 acres of woodland, with Mediterranean pines, olive trees and oaks offering privacy and calm to be disturbed only by cicadas. There’s plenty of fun to be had as it boasts great facilities – including a fenced swimming pool, private tennis court, library, piano, petanque/boules, board games, and more. It also features a fully-equipped kitchen which is essential for cooking those fresh truffles you’ll score at the markets! The villa accommodations 10-11 people, with plenty of room for everyone.